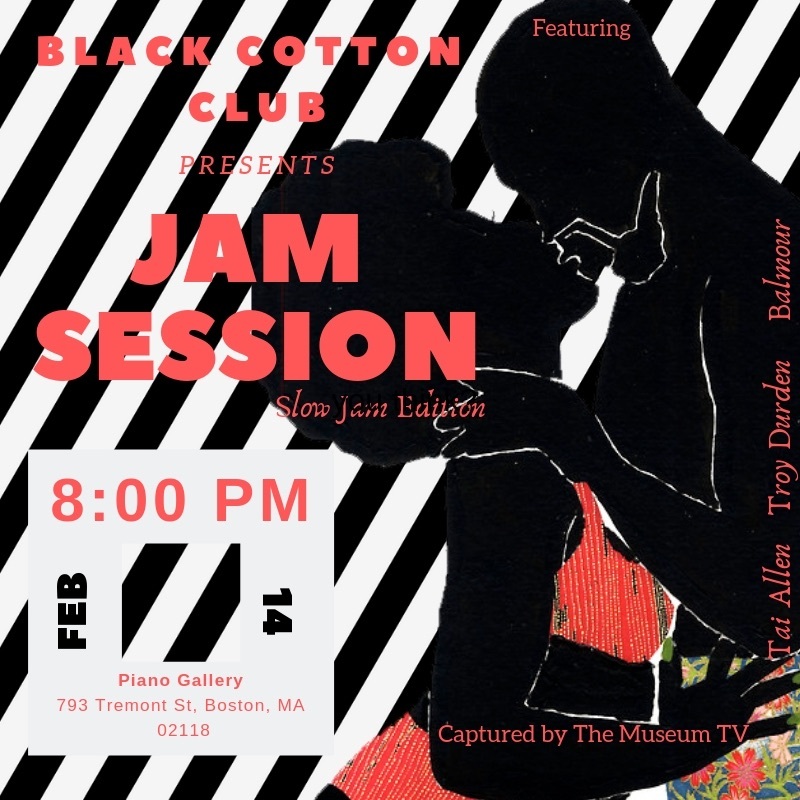 The Piano Craft Gallery is thrilled to host the Black Cotton Club's Jam Session—Slow Jam Edition. Black Cotton Club is a pop up Jam Session that features a live band and encourages impromptu story-telling through all creative expressions. "We are dedicating this Jam Session to all the slow jams that brought us into this world, made us fall in love, comforted us when we fell out of it." This month features Troy Durden, Tai Allen and Balmour. All acompanied by GUYS, the band.